Physiotherapy | London Physio Centre, Harley Street. London Physio Centre, Harley Street. Every time I saw her I had new things to report that I had managed to do as my range of movement gradually increased and the pain and stiffness lessened. Give her a try it could make all the difference to you, as it has done for me. Treatment at London physio centre will help reduce pain, restore movement, strengthen weakened muscles, reduce tension, both in body and mind. 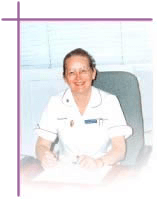 Jacqueline is one of a few UK Physiotherapists combining Connective Tissue Manipulation, Manual Lymph Drainage, the MacKenzie Exercise Regime and Cranio-sacral Therapy in private practice. During the past four years she has successfully treated over 1,000 patients with spinal problems and a further 1,300 patients with other muscular skeletal problems in her Gillingham Physio Centre in Dorset. In order to offer her specialist techniques to a greater number of patients she started the London Physio Centre at our previous Harley Street practice. This is a commonly used term for any pain you may have in your joints. It can cause pain and swelling of the joints, this usually affects you in a symmetrical pattern for both your right and left-hand sides. Pain usually travels through the buttock and down the leg caused by a trapped nerve from the bottom of your back to your leg. Certain actions may cause this pain to increase. Treatment removes the pressure and inflammation on the nerve. Symptoms of this can be pain, swelling, stiffness and reduced movement in that area. Knee pain is a common issue and there are a large variety of causes which can be treated through tissue manipulation. The pain can be felt from anywhere from your neck down to your hips. There can be many causes for back pain and it can be triggered in a variety of ways. This all falls under back pain. The pain is felt in your elbow and usually down your forearm and is a constant pain. However, the pain can be made worse by certain actions that strain the tendons usually things like writing, gripping or eating with cutlery. The pain can vary depending on the causes and what the issue is with that area. You may experience pain or restricted movement in that area. Treatment will depend on the problem and symptoms. Sports people are at a greater risk of injury, which should not be ‘worked through’, fast treatment will be much more beneficial. Swelling, pain and a reduced range of movement are the common symptoms. Neck pain is very common in adults and can be caused by a range of reasons, or can be even be referred to arms or other areas of your body. There can be sudden onset pain or it can develop over a period of time. Find out the latest research about our Physio Centre and information about all your Physiotherapy and health related needs. Still Suffering? Time to get fit for Christmas! 101 Harley Street, London, W1G 6AH.